My Plantar Fasciitis getting bad after return down to KL from Genting short weekend getaway recently. I guess my backpack load too heavy and stress up my heel so much. For those who don't know what is Plantar Fasciitis, I will give you some brief about this. Who knows it may hit you too once you aging like me...hehehe. Anyway, its good to know. Plantar Fasciitis is common pain for middle-aged people. WTH! can't believe I aged this quickly. Young people don't so happy! If you on your feet a lot and do lots of sports, this can hit you too.This pain caused by straining the ligament that supports your arch. I got mine last year after came back from Taiwan trip in April 2016. I got diagnosed with knee problem in June 2016. So literally tackle my pain one by one. I concentrate on my knee healing and ignore the pain on my feet. Recently the pain on bottom of my heel getting unbearable. Every step with lots of pain and really wish can swallow pain killers or I kill people. FYI, I don't take any pain killer at all. Every step full of mental hypnotize to myself. Apparently my high arch feet also contribute to this too. Damn! I read no single treatment works best for everyone with plantar fasciitis. I cut down lots of activities to rest my foot. Mine hit at right foot. The heel spur pain is totally unbearable whenever I step. So difficult to walk too. Recently my friend told me she went to Tung Shin hospital for acupuncture treatment for her spine problem. I was like....whoaaaa!!! 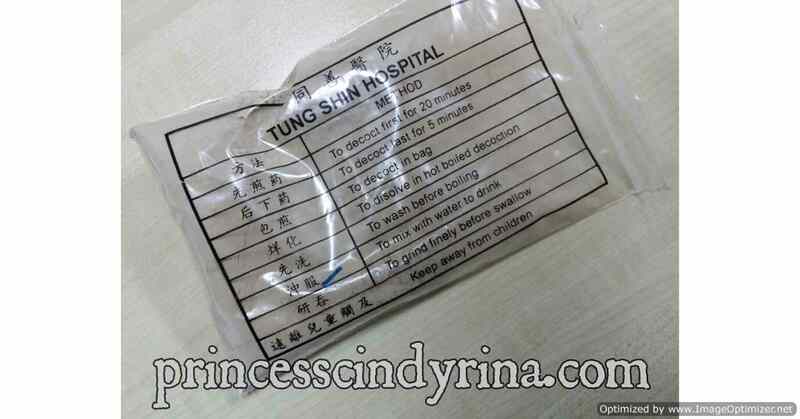 how come I never think about Tung Shin Hospital before? They have TCM aka Traditional Chinese Medicine Center there. I briefly check on their website and there a few Specialist listed there. How would I know which one to choose? I went there last Saturday and reached around 8:00am. Registration open at 8:30 am. Many people was waiting on line. My number at 1170 and there are 110 people ahead of me. Damn! So I end up took the number and went for breakfast at nearby cafe. I went for around 20 minutes and pass the number, when I return . hehehehe...serve me right! 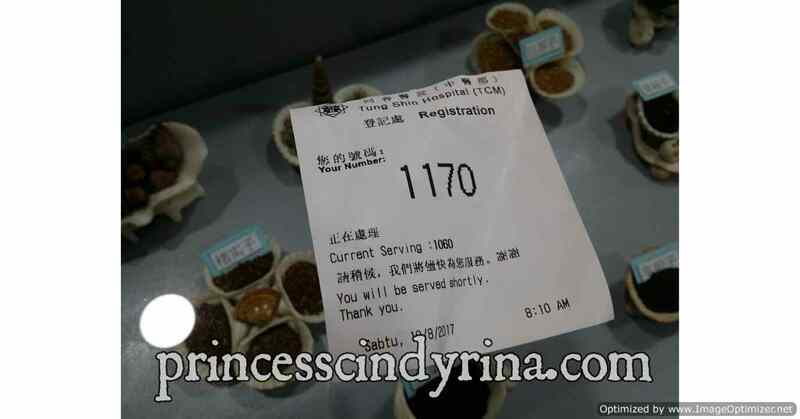 I took the number again and gotten 1195. There are about 10 people ahead of me. Dare not move from that place again and waited for my number like everyone else. Since this is for registration , you need to provide identification card and registration fee RM3 + first time consultation fee RM25. Then the girl at counter for registration asked me which Doctor I want to see. I was like ...Oh! I need to choose myself ? I can't remember the name from that website I browse the day before. Seriously, I don't even have any idea about this. I just go 'eenie meenie miney mo' and pick one from the notice board. kakakaka...end up with Korean Specialist instead of Chinese. haihhhh...whatever. Then I was told to go to 1st floor and wait for my name to be called. Finally met the Doctor. He read my name and know I can't speak Mandarin. He speaks mandarin fluently, you know. He spoke to me with a mixture of English and Bahasa. His English not that fluent too. He speak Bahasa ..guess to practice it with me??? Maybe! Whatever, as long we understand each other. I explained my problem. He listened while writing very long notes in Chinese. WTH! you just scribble???? Then I end up on the bed with needles poking around my foot with heating fan for 20 minutes. How it feel to get the needle poke to my foot? WTH!!!! sure very painful! Lying there for 20 minutes made me thinking about my next 5 years. Dare me to think about 5 years, huh? Who knows God call me tomorrow or later? Why am I worry too much? Just face it for now and be brave to bare the pain if its given to me. At least I am still lucky to have such a blessed life.Just need to be more thankful and live life responsibly. I went back with this bitter powder. Uwaaaaa!!!! Hate this bitter stuff. It cost me another RM75 for 2 packs of this. I went back the next day for another needle poking session to my foot.This time just need to pay RM33. I was told every session is around that price if without any medicine prescribe to you. This is so much cheaper from the practitioner I went at Kuchai Lama. Ripped me off with RM109 per session and wanna me to visit her at least thrice a week.So I no need to go to work is it? Gosh! IMMA don't print money la weiiii!!! Some more all by appointment and even you made the appointment need to queue very long too. But the reason when I stopped visiting her is because there are not divider room for every treatment. You imagine went there for my lower back pain and while you are lying face down while your lower back exposed with needle poking, she brought in a man patient to the bed next to me. WTH! don't even have divider. So Siau!!!!! I stop going because of that. hahahaha...Super sensitive and Emo!!!! My foot feel so much better now. But this things is a long term healing process. I just need to watch out and good care of it. For those who need some acupuncture treatment can try out TCM at Tung Shin Hospital. At least we know they are licensed practitioner. Ya me too zero pain tolerance.I psychic my mind a lot to do this. LOL must be interesting experience with Korean doctor that speaks fluent Mandarin. Yeah! very fluent for a Korean. I have tried accupuncture before and it really did healed my migraine problems, thank god it was not painful for my treatment but it took a few months to see the actual result. Even in such a terrible pain, you can still make fun of it. Thanks for sharing your experience and creating an awareness for TCM at Tung Shin. Who would have known? I heard that this hospital is quite good but I have not try their service before. Hope your foot heals soon. That is some treatment! You have guts. Me so takutler.